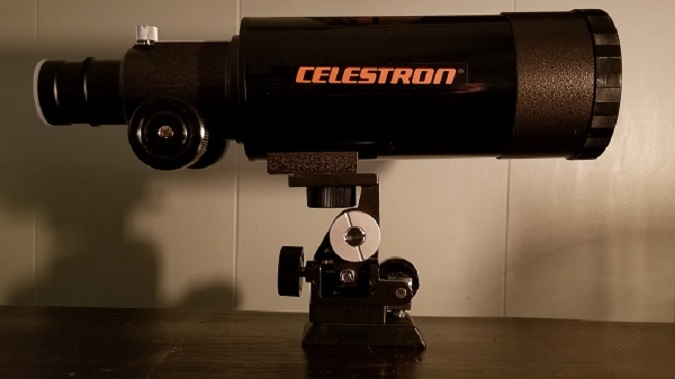 Celestron RFT, SS80, Spotter, all of the above or something else? 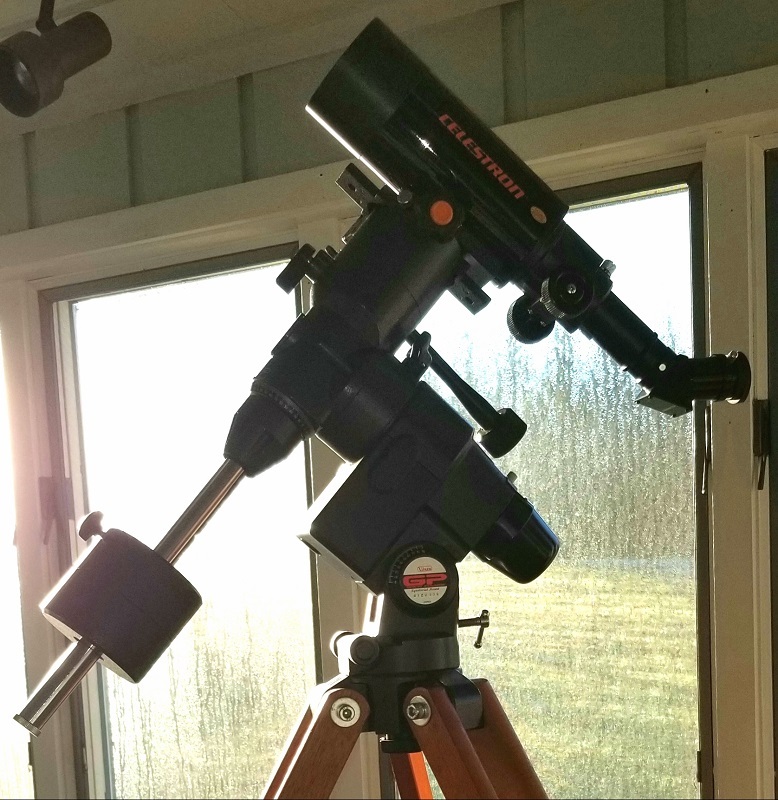 Took a gamble on this little scope, but did run it by a good friend and CN member Rolo, so I am sure that I am on the right track. 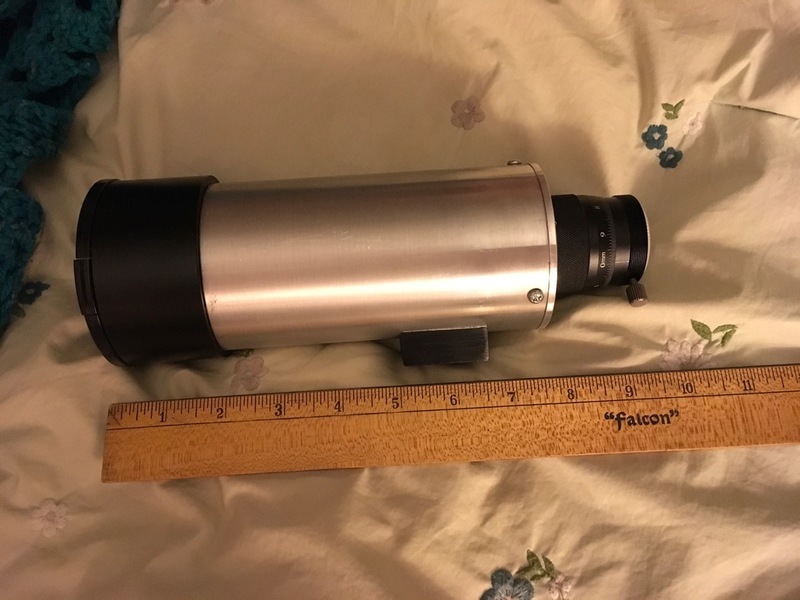 I noticed the ad for this months ago, but was not sure I was correct in thinking it looked like a Vixen-era Celestron scope. When I inquired, the seller was very nice and attempted to give me all info available. However, they sent me a link to the manual for a Celestron model #52260. Of course, the label on the focuser is missing, and it is so tiny, I am not even sure it ever had stickers. Like I mentioned, I watched this ad for quite awhile. I first reached out and received the above info over a month ago. After looking at it over and over, I asked Rolo his opinion. He agreed with my thought that it might be a Vixen made scope. So, I reached out the seller again. I argued with myself, because I had resolved to continue avoiding more acquisitions. But...ultimately, they convinced me that it was worth taking a chance, so we agreed on a price. It arrived today. 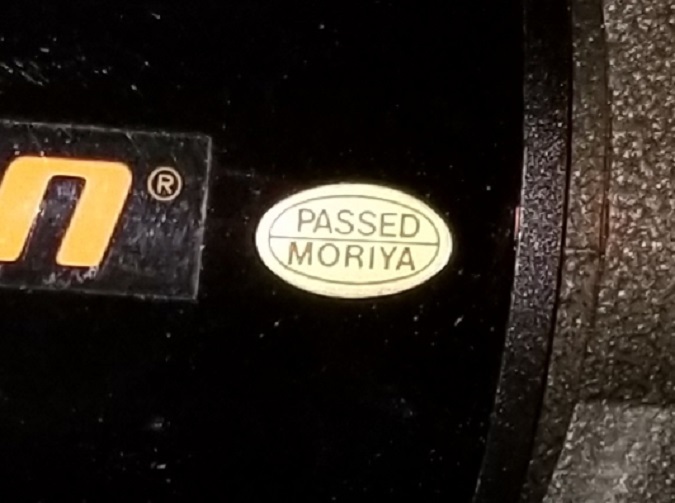 It has no markings anywhere, besides the orange "Celestron" stickers, and the oval sticker that says "PASSED MORIYA". 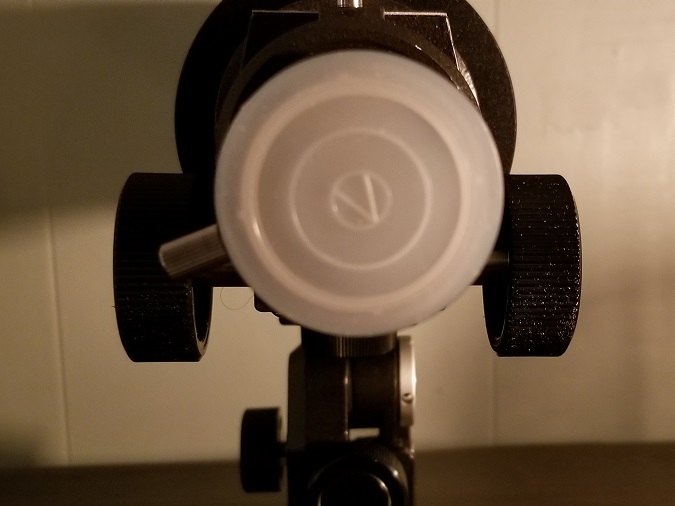 The focuser is void of any label, although there is a plate that appears to have been glued to a flat spot on the top. 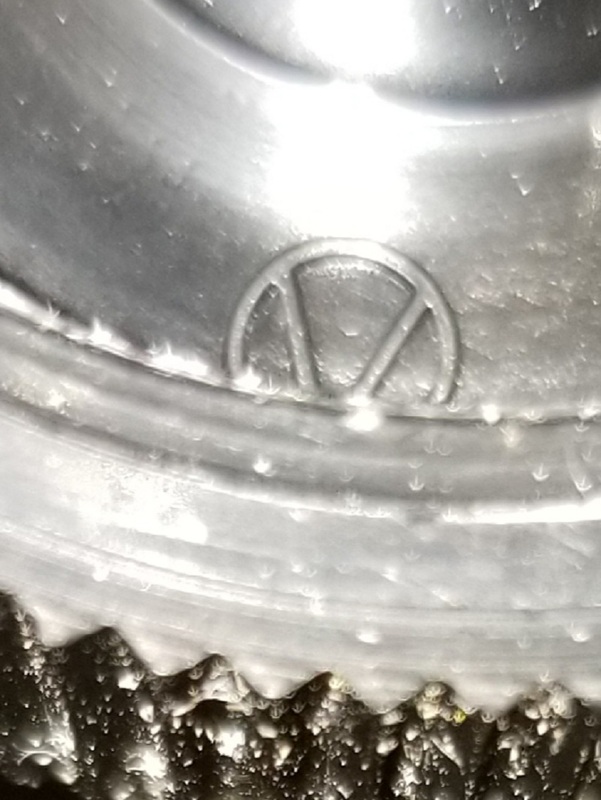 It looks like it would have been intended as a label, but it is completely blank. It does have what appear to be the original caps. The objective looks like the Vixen stuff on my other scopes, and the cap/plug for the focuser is clearly Vixen (V). I am pretty certain that it is NOT a 52260 now, because the manual indicates that it would have a 16" fl, if I understand it correctly. This little guy is roughly 12" from objective glass to the tip of the visual back. 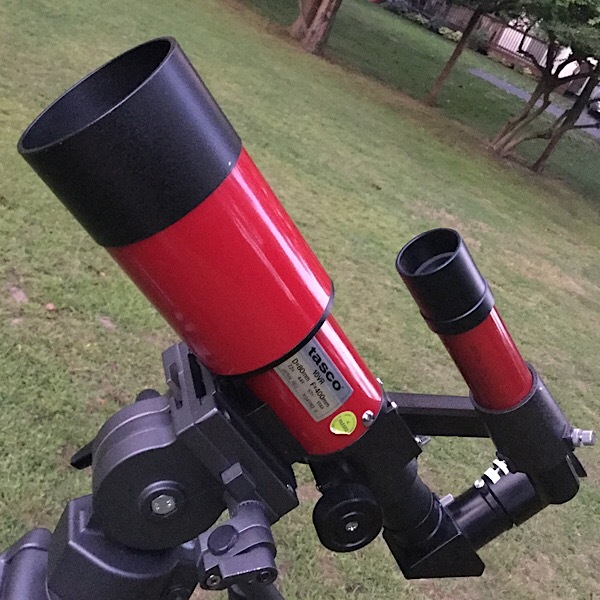 Even with the focuser racked all the way out, it is under 15". So, I have been convincing myself further that this is a little Vixen made SS80. 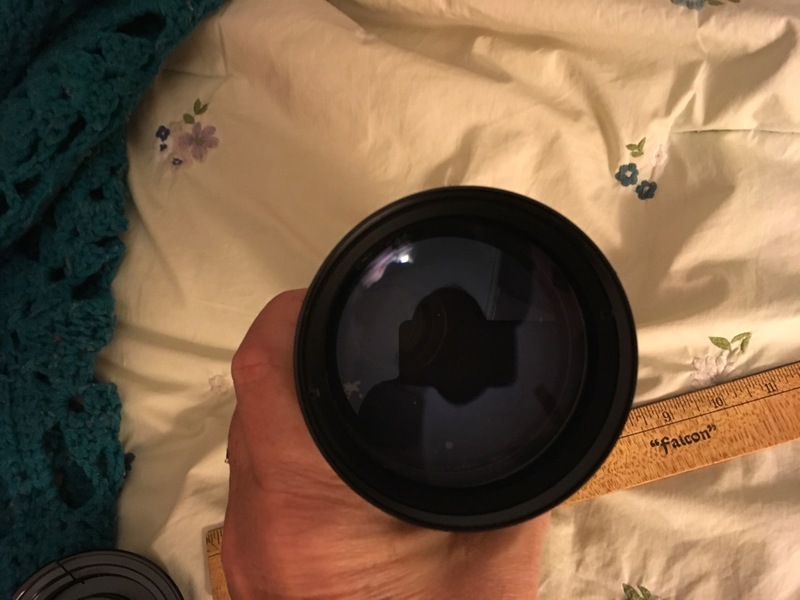 I found a few old listings, and a couple of them appear to have the blank focuser too. However, I could not make it out completely. 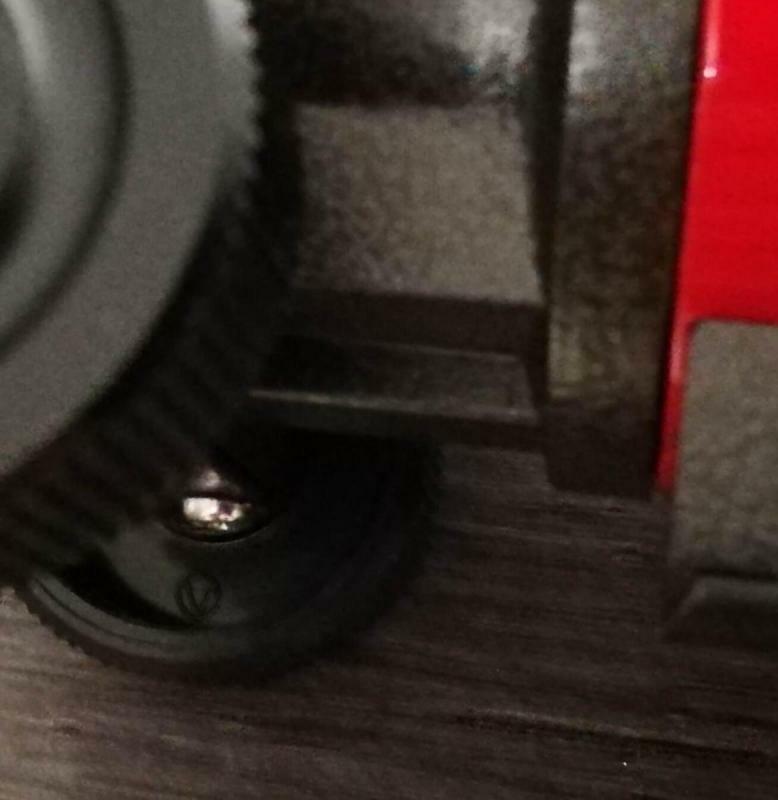 So, can anyone unequivocally confirm this one way or the other, point me towards more info (very very little commentary on these, other than one or two admissions of ownership here or there), or tell me what kind of tripod this little mount would be happiest astride? Anyone else own one? 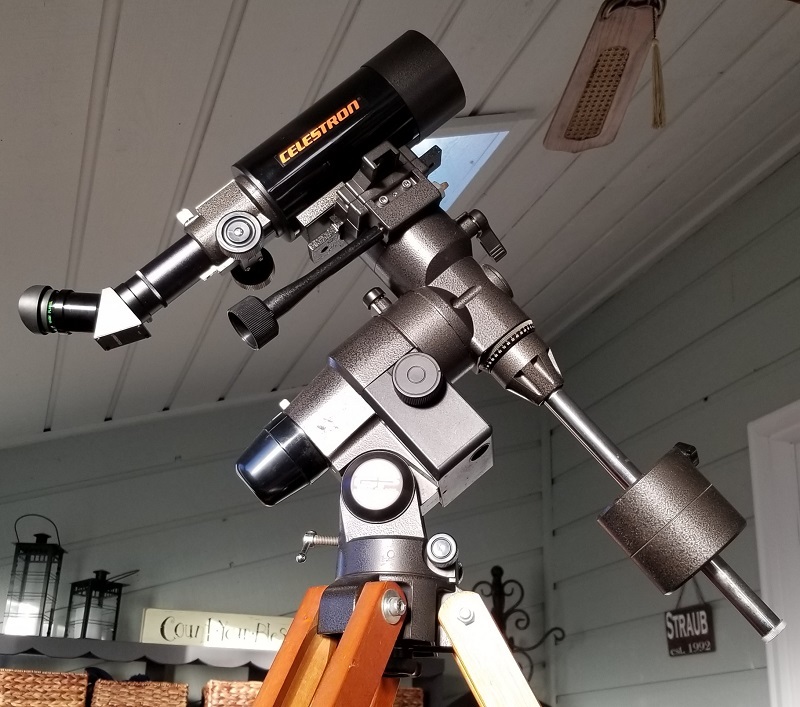 It is a nice looking little scope. Gloomy daytime images looked quite nice. Very rainy today/tonight, and looks to be that way for quite awhile. But, don't blame me...it's Indiana. 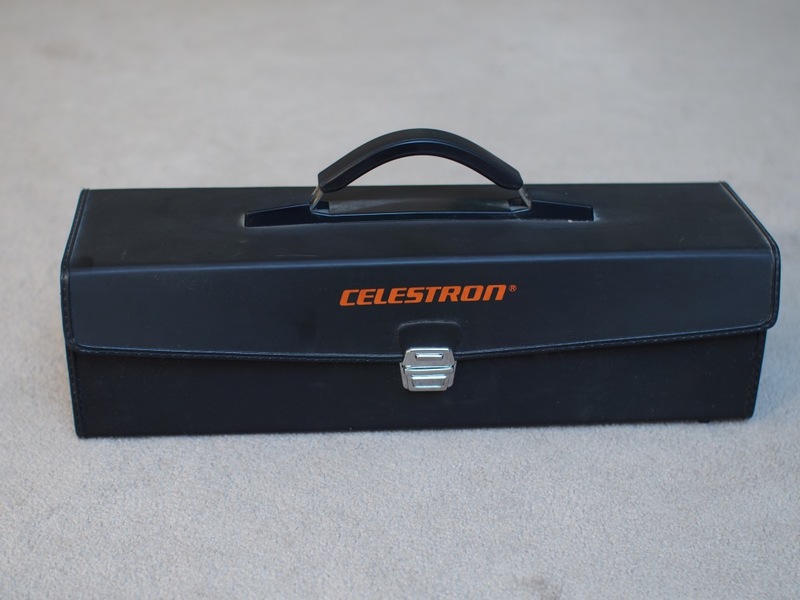 I bought a Celestron SS-80 from Orion back in 1990. It looks identical to your pictures in every detail. Wow! The detailed knowledge of such minutiae by you and others on here boggles my noggin sometimes. BINGO! Edited by shredder1656, 01 December 2018 - 08:13 PM. Great! Still have it? Obviously...well, hopefully, considering the weather this time of year, I will find out myself, but was it an ok performer? Is this case original to the scope, or an after market one? No Celestron markings, but the "open" sticker was falling off, so maybe there used to be Celestron stickers somewhere. I really am sooooooo jealous. Are you tired of owning yet? Terrynt, thanks for the case pic. This one is definitely aftermarket then. Still works well. Rolo, I have a base and finder I am not using. Is that little plate glued on, as it appears? Once removed, no going back, right? Deepwoods1, uhhhh, not quite yet. LOL. As bizarre as it is, somehow the clouds parted, unbeknownst to me since I somehow slept until just as the sun was popping up, and the moon WOULD have been a fun target. Instead, I figured that out as the sun had already started brightening the skies. So, I still was able to take a look with a jury-rigged set-up on my GP mount, but it was pretty washed out by the time I squared things away. Indiana...if you don't like the weather, wait a minute. Forecast is unreliable. But, the optics look pretty good, all things considered. Maybe, great! The plate is glued on and you can glue it back if you like. Yes, it does look like the Halley. Apparently, very similar or identical to the 10vr as well? So, if I measured accurately, this is an f4.5, correct? Or, is it an f5? I searched quite a bit, but still find very little to nothing on this. Does anyone have the manual or anything? Also, the mount that is in the first pictures seems to be primarily for terrestrial use. Is this the original mount? It is different than the 10VR.